Now the world’s eye is on Turkey for reasons not directly addressed in Kaygusuz’ speech, which dealt mainly with the issue of national literature vs national identity, but which bring to mind the way our global community creates dialogue in words and images. As I write, a photo of a solitary woman in a red dress in Istanbul being aggressively pepper sprayed by riot police has gone viral. We’re old hands at this now; as the photo traverses the world, we recognize it as an iconic image, and the woman in red as the face of what some say is shaping up to be a Turkish revolution. Comparisons are made with the iconic ‘blue bra’ photo which became an image synonymous with the Arab Spring, abuse of power and violence inflicted on women. The text, in this case a photograph, and comparable to the words that reach us particularly from places where the media has become redundant and authoritarianism has reached tipping point, develops a life of its own. What we see is injustice, abuse of power, vulnerability, and beauty. While this photo captures a particular place and event, it also captures things that are universally recognizable. It becomes a part of our global dialogue. Do all writers and photographers set out to create art? I doubt it. Looking back on texts written for other purposes, to convey messages or to record facts, and – increasingly in recent years – to tell an urgent story in a medium which will be available to the world seconds after the author composes it; sometimes these are the things we look back on as art, or the seed from which art grows. A quick photo or a 140 character statement that illuminates a volatile situation or vulnerability on a global scale is not a plotted, finished story. It’s the beginning of a story. As we get more attuned with the new age of communication, we become more conscious of what our texts could mean to our audiences. The blue bra photo inspired dialogue on a much larger reality than the violence inflicted on the woman pictured, and mobilized a huge response. The red dress photo is analyzed, immediately after going viral, in the shadow of its predecessor. We don’t know exactly what it means yet, but we recognize the root of something important and universal, and we recognize it as a starting point. The same, then, is travel writing. Observations of a place or lists of facts for the future, the fabric of a woman’s shawl or the smell of food cooking in a railway station, the relief of a cup of tea from a stranger after wandering up a mountain, the lucid exhaustion after days and nights of sleepless movement. These factual, often brief notes, turn into art in a way many writers will recognize as more potent than sitting down on a convenient terrace to write a fantastic story which precisely captures the place we are in. There’s dignity in detail, and an honesty in the facts captured with no end result in mind. The story is for the writer to develop from those seeds of fact. That’s often the work of a writer, building on and endlessly shaping a story which began as something else, which I concede is not the most romantic notion. Nevertheless. Where in the past I worked from notes scribbled on napkins and receipts, I now work from tweets and hastily snapped photos. One has not exclusively replaced the other, nor is one necessarily better than the other. My point is, our new global medium, when used as a platform for fact and truth, is also a root of a great story, whether it’s fact or fiction. The way we communicate a sense of place is growing in self-awareness. Here in Stuttgart, the Turkish community rallies regularly in support of protestors in Istanbul. Facts are communicated through words and photography: places, times, dates, evidence of injustice. There are the other facts as well, the ones that are less quantifiable. A woman in a red dress being needlessly, almost metaphorically, assaulted by a group of armed police. The way tear gas feels, the sound of tears and screams, the acts of kindness and cruelty that permeate a crowd. Over the years I’ve tried and failed to convey, in story form, the sensation when I was charged by three police horses during a demonstration in 1998, the prone position of the elderly woman who was knocked to the ground by a police baton, or the face of the policeman who laughed at the old woman whose face was covered in blood and whose dress was shoved above her hips. These memory-based facts can be turned into art, but how different would that art be if I’d had the means to send a photo or 140 characters into the universe? What dialogue would have emerged? Time will tell what the red dress photo will mean to Turkey, or indeed what the current events in Istanbul and all over the world will mean for, amongst other things, freedom of expression in the country, an issue steadily highlighted by prominent Turkish and international writers. 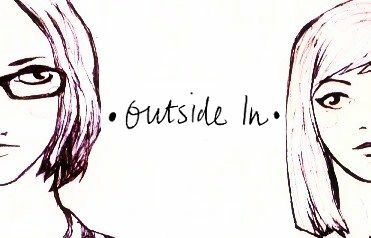 Here at Outside In, we’d like our readers and contributors to use this platform for dialogue, just as our writers and photographers have used fact and experience to create something larger. As our magazine develops, you’ll have noticed a few changes along the way. Following this issue, we’ve decided to publish quarterly rather than monthly, and we are putting photostories to rest (for now). Photostories Editor Vicki Valosik will be joining Editor in Chief Brandi Dawn Henderson in the nonfiction department. You can check our submissions page for more detailed information. 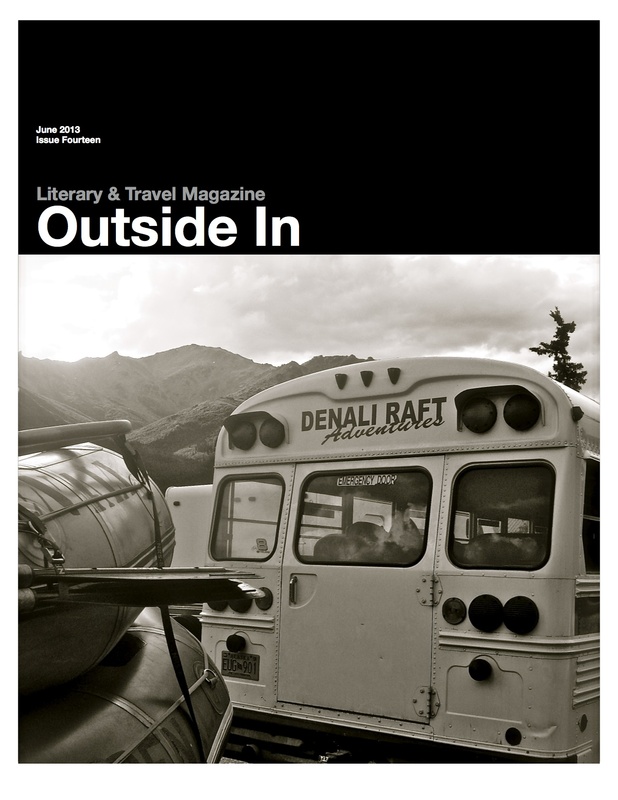 In Issue Fourteen, our poetry section includes 13 year old Grace Crummett’s poem “There is Nothing Poetic Here” about her trip to the Middle East and Jessica Lakritz’s poem “The House of Sixteen Doors” which takes us to Pablu Neruda’s terrace. Susie Sweetland Garay, co-editor of The Blue Hour, writes about freckles in Peru. In the fiction section, we have return visits from Oliver Gray, revisiting some themes you might recognize, and welcome back Lakshmi Nijhawan’s who shares a story about the disappointment of what is out of reach. Jay Merill, writer in residence at Women in Publishing, takes us to the Southern Andes, JR Rogers send us on an emotional mental journey between Northwest France and The Congo, Alisa Golden illuminates an awkward expat experience and Lori Sambol Brody experiments with structure to beautiful effect. We are also very proud of our nonfiction this month, with Kate Gray’s haunting essay on mental illness and suffering, Hamza Syed’s perspective as a Muslim-American Bostonian with roots in Pakistan, Outside In co-creator Susanna Wickes’ Inner Mongolian love story, and more. As always, we hope the stories we offer here can help you to understand someone else, somewhere else. Click here to begin reading. Denali Rafting! Oh, my gosh, I cannot believe that cover! Again, thank you for including my poem, “Above This Pinwheel Country” in this issue.